Stand out from the crowd with vintage turquoise rings from Palms Trading Company. 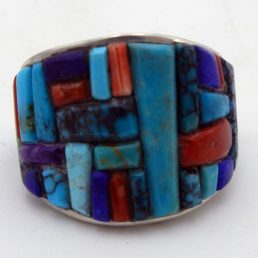 These gorgeous, eye-catching rings are handcrafted by talented Native American artists. 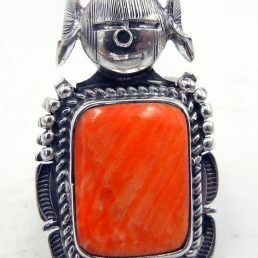 Our decades-long relationship with the tribes and Pueblos of New Mexico allows us to make the distinctive style of the Southwest available to men and women around the world. 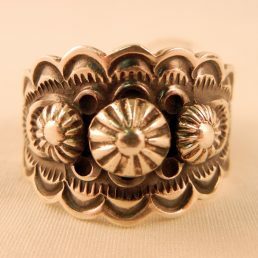 With new, unique pieces added constantly, our selection of Native American Indian jewelry is sure to have a vintage ring that caters to any taste. 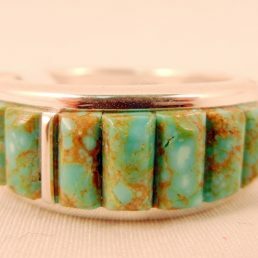 The Navajo Nation and Zuni Pueblo artists that create these turquoise rings use techniques and characteristic designs that have been passed down through generations. 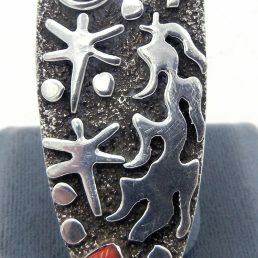 While these rings display the heritage and cultural customs of the Pueblo, each unique piece also showcases the artist’s personal vision and talent. 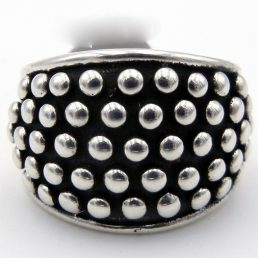 This produces truly exceptional jewelry that blends traditional pride with contemporary style. 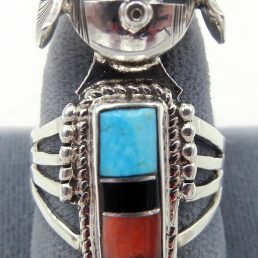 When shopping for vintage turquoise rings, it’s important to ensure authenticity. 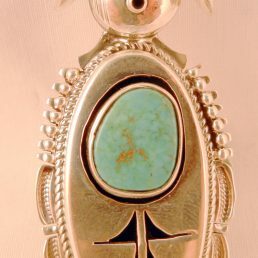 Palms Trading Company has over 60 years of experience selling genuine Native American Indian jewelry purchased directly from the artists themselves. Not only can you shop confidently knowing that every one of these pieces is a true work of art, you can also take comfort in the knowledge that you’ll never overpay at Palms. 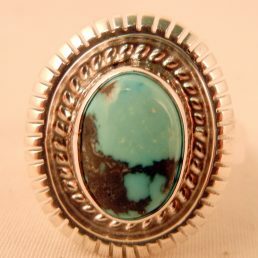 Because we’ve eliminated the middleman, we’re proud to offer these fine vintage turquoise rings at a fair price. People from around the world have fallen in love with our collection of vintage turquoise rings. 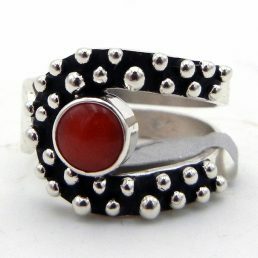 The distinctive Southwest style is evident in the extraordinary patterns, stonework, and design of these rings. The inimitable color of each turquoise gem, beautifully adorned with sterling silver stamping or overlay, creates a remarkable piece of jewelry that you’ll cherish for years to come. Break away from the trends of yesterday and add the magic of the Southwest to your style. Our friendly personal shoppers are ready to assist you in finding the perfect ring to add to your collection. With an exclusive selection of vintage turquoise rings, Palms Trading Company is your destination for one-of-a-kind Native American jewelry.